We did not have Playstations, Nintendos, X-boxes, no video games at all, no 150 channels on cable, no video movies or DVDs, no surround-sound or CDs, no cell phones, no personal computers, no Internet or chat rooms…….WE HAD FRIENDS and we went outside and found them! And though the list goes on, I can identify with almost every item listed. My childhood and teenage years were by no means perfect but time has a way of smoothing out the rough edges and I remember that period with great fondness. However, the world has changed, in some ways for the better and, in others, for the worse. Whereas we once possessed a childlike innocence, we have become suspicious and less trusting. We are quick to attribute ulterior motives to everyone and everything. As a result our society has become extremely litigious. Precedents have been set by people winning what would have been considered ludicrous and outlandish law suits back in the day and getting large settlement payments. Organisations, large and small have had to become extremely careful not to leave themselves open to such law suits over their services and products. This has led to all manner of disclaimers. If you have ever listened to or watched an advert for drugs, you will understand exactly what I’m talking about. Manufacturers have learnt not to be remiss in clearly stating the side effects, both real and imagined, of their products ranging from mildly ridiculous to downright stupid. Some of the below are actual labels, warnings and disclaimers printed on products. Talk about stating the obvious. Nytol (sleep aid) – May cause drowsiness. Coffee cup – Caution, contents hot. 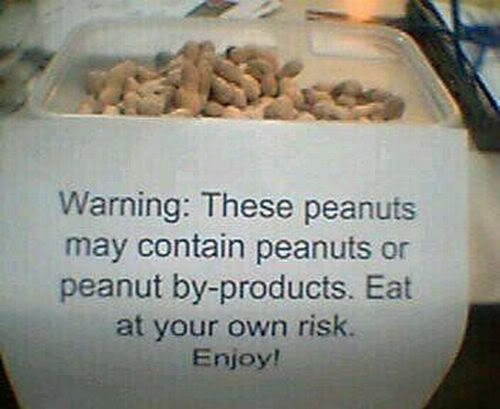 Pack of peanuts – This product may contain nuts. Child’s superman costume – Wearing of this does not enable you to fly. 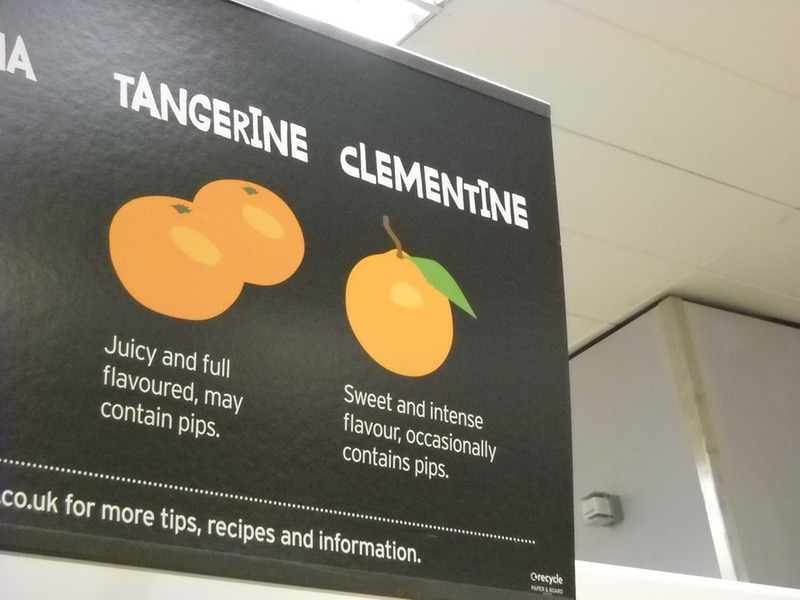 Citrus fruit – May contain pips. A birthday card for a 2 year-old – Not suitable for children under 3. Sometimes political correctness is just not so PC after all. If you enjoyed reading these, you can find more here. Have you seen any daft labels or instructions lately? Please share them.